Wicked Lit is not the only drama group bringing classic tales of terror to life during the Halloween Season. 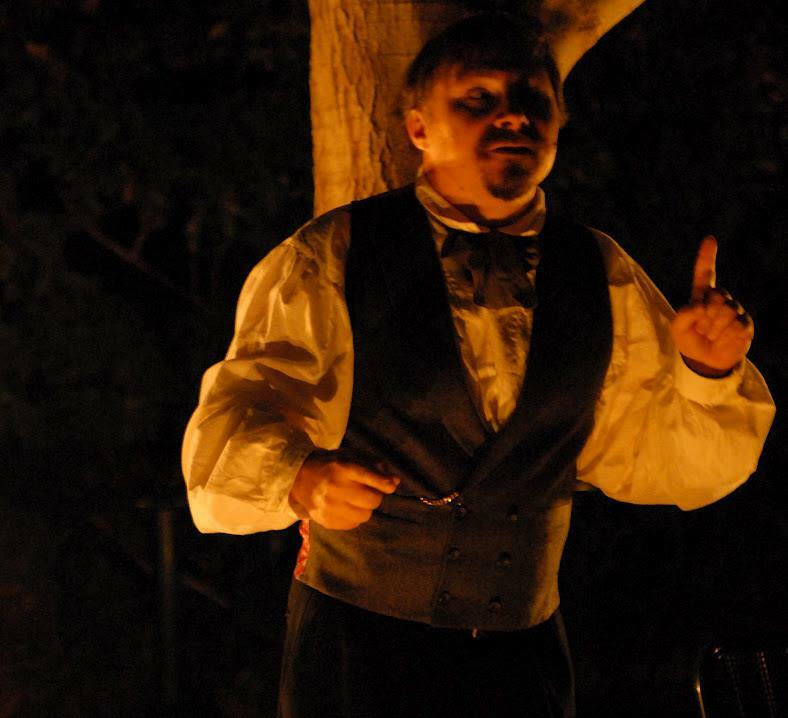 Take a walk into the shadowy recesses of the Huntington Gardens for a macabre evening of Gorey Poe-try...if you dare! During the hectic later half of the Halloween season, Holly wood Gothique visited a few attractions that we did not have time to review in October. One or two of these (such as Night of the Living Zoo) were one-night-only events that our readers would not have been able to visit based on our after-the-fact write-ups, so we pushed them to the back burner in favor of covering on-going events that could still benefit from our recommendation. 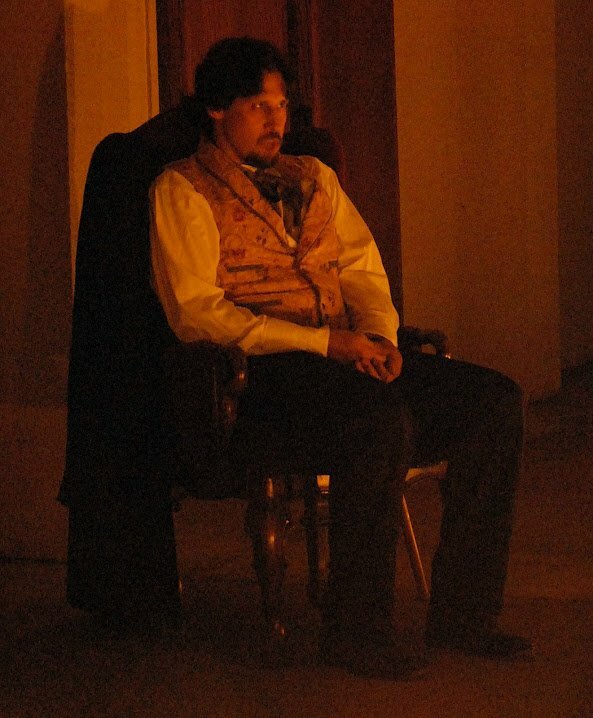 Now that life has settled down, we want to give justice where it is due, beginning with a look at the annual DRAMA AFTER DARK: A NIGHT OF THE MACABRE WITH POE AND GOREY, which we attended on October 26 at the Huntington Library in San Marino. If we were to describe Drama After Dark in a single phrase, it would be "Wicked Lit Lite," but that would be a little too dismissive. Like the Wicked Lit Halloween Theatre Festival, Drama After Dark offers performances based on classic horror literature, staged in an unconventional venue - in this case, the gardens and buildings surrounding the library - but the similarities mostly end there. 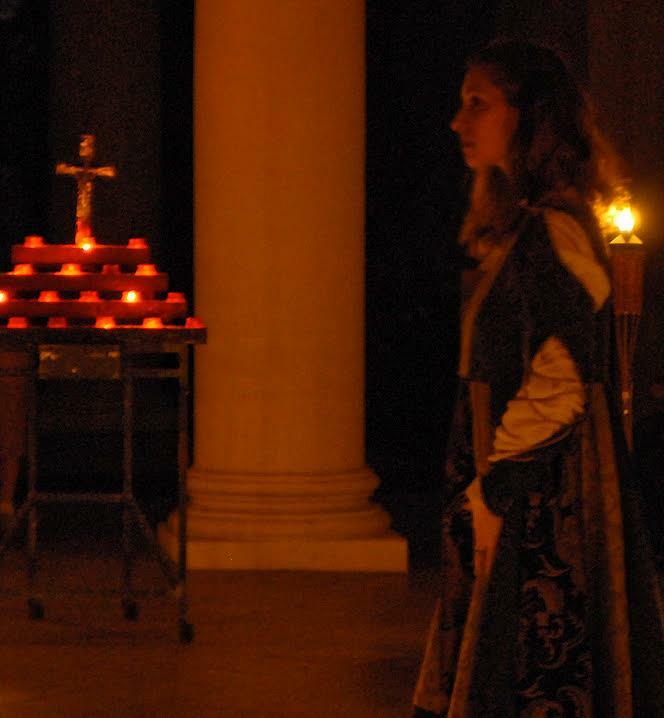 Rather than adaptations, Drama After Dark emphasizes straight dramatic readings, performed as monologues by actors in period costume, with minimal props and settings. The staging is much simpler, but the effect is more intimate, with the actors addressing the audience directly. It's a little bit like seeing a series of six short one-person shows, casting the audience as the silent, invisible witness to the confession of a murderer - or at least it was for us. Your experience may vary. Why? Becausw Drama After Dark presents fourteen half-hour performances each year (give or take one or two), which take place in a three-hour time span, allowing you opportunity to see six at most. You can choose based on preference, which may require some quick and skillful maneuvering to traverse the sizable terrain of the Huntington Gardens at night. Or you can choose based on location, selecting a half-dozen plays performed in the same general area. We opted for a night composed entirely of Poe: "Masque of the Red Death," "The Tell-Tale Heart," "The Black Cat," "The Pit and the Pendulum," "The Imp of the Perverse," and a double bill of "The Oval Portrait" and "The Raven" (performed in tandem in the same performance space). 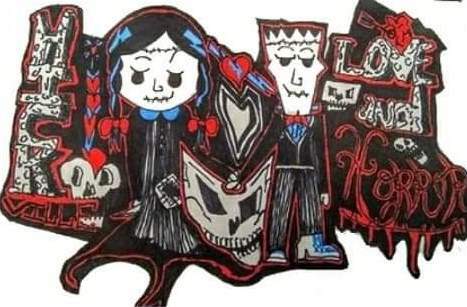 The confessional nature of Poe's first-person narratives, typically featuring lunatics explaining their mad crimes, is well suited to Drama After Dark's straight-forward approach, and the actors skillfully brought the words to life, especially John H. Higley in "The Tell-Tale Heart." That story works in a simple rendition, sans props, because so much of what the narrator describes exists only in his own mind, such as the beating of his murdered victim's heart. Others stories seem to beg for a little more stage machinery; perhaps we should see some manifestation, however fleeting, of the titular feline in "The Black Cat." The cleverest presentation that we witnessed was "The Pit and the Pendulum," which took place in a fairly large steepled room, suggesting a chapel. Much of the tale takes places in total darkness, after the nameless narrator is sentenced to torture and death by the Inquisition. This was portrayed by the simple expedient of having actor Cylan Brown douse the candles at the appropriate moment, plunging the room into a pitch-black void. 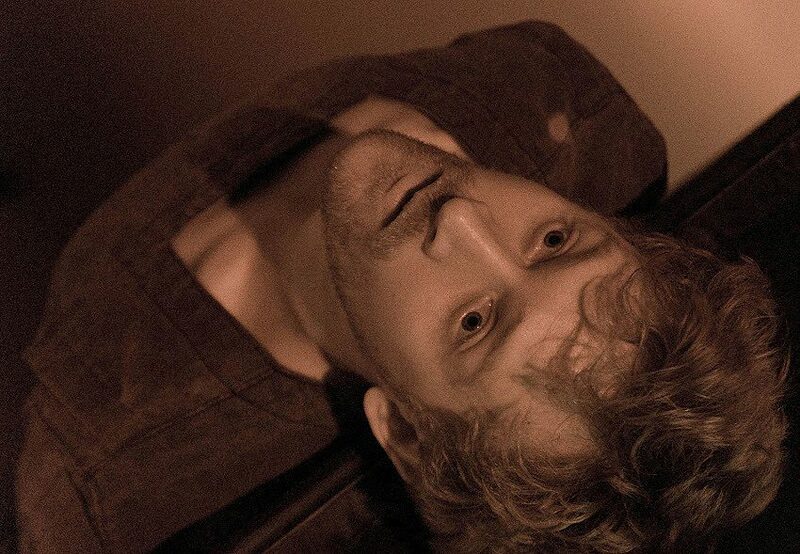 While Brown emoted his way through the character's description of circumnavigating his prison in the dark, the audience heard him walking around the perimeter of the room, creating an immersive sensation unlike anything in the other performances (Brown's tortured tones certainly helped). As for the rest: "The Black Cat" was rendered in suitably grim and grizzly terms by Derek Medina. "The Imp of the Perverse" - which is more essay than story - was delivered like an effectively obsessive lecture, before the speaker's guilty secret emerged. Finally, "The Oval Portrait" and "The Raven" provided an effective final curtain on the evening's festivities. finished the poem with a perfect emotional crescendo that wiped away our misgivings. The Huntington Gardens are not as ghoulish as the Mountain View Mausoleum and Cemetery (where Wicked Lit has taken place the past few years), but the location does provide rich atmosphere. The grounds are dark, lit only by candles and occasional torches; finding your way without a flashlight is difficult, and you must watch your step to avoid kicking over the candles. 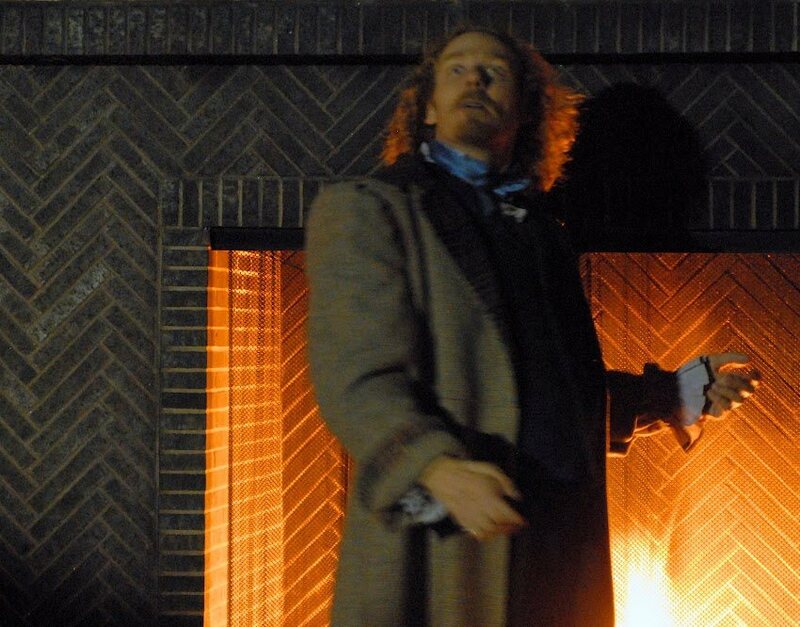 Most of the performances take place outside in the cold evening air; thankfully, a few are inside, and there is an outdoor fireplace near one location. Whether inside or outside, the stone columns and brickwork suggest the period settings, and the enveloping darkness of night suggest the darker depths of the depraved souls in Poe's narratives. Though not as innovative in its presentation as Wicked Lit, Drama After Dark is more faithful to the source material, providing a showcase that brings the original texts to life through some vivid performances. Though its program remains more or less the same from year to year, you can see six completely different plays next year, providing a virtually new experience. Or mix and match old favorites with a few new ones. Of if you really enjoy one in particular, you can watch it over and over, all night long. It's like a ghoulish smorgasbord of scary stories, from which you may pick and choose to suit your own hunger for horror. Drama After Dark: A Night of the Macabre with Poe and Gorey is performed annually at The Huntington Library on one night only during the Halloween season. The address is 1151 Oxford Road, San Marino, CA 91108. The event typically sells out. You must buy tickets in advance; they are not sold at the door. No one under 12 is admitted, no one under 18 without adult supervision. Get more information at their Facebook page. 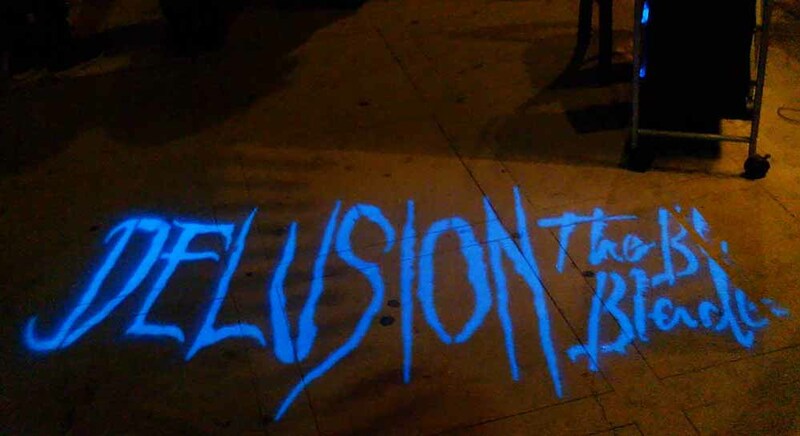 Interested in other Halloween Shows and Tours around Los Angeles? Find them here. A showcase for the work of Poe and Gorey that brings the original texts to life through some vivid performances.